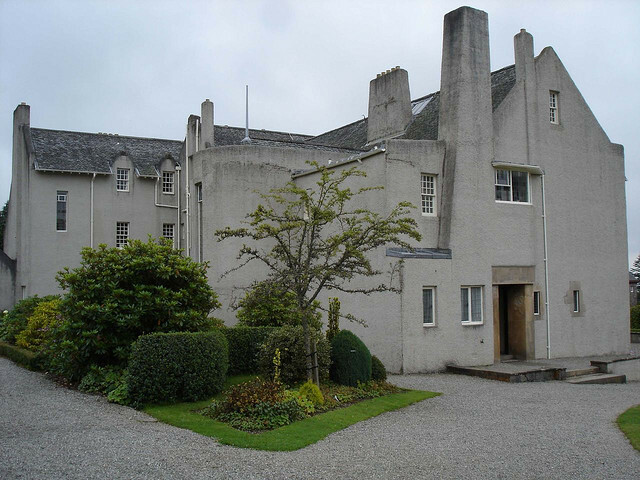 Charles Rennie Mackintosh was born on June 7th, 1868, on Parson Street in Glasgow, Scotland. As a young man he apprenticed with a local architect then, in 1889 moved on to a larger, more established firm in the city. 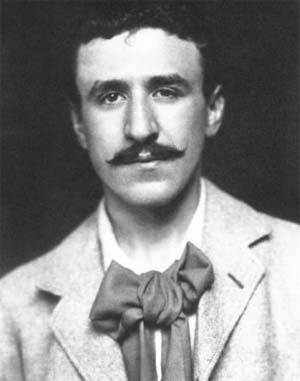 To compliment his apprenticeship, Mackintosh began taking classes at the Glasgow School of Art, and it was there that he met Margaret MacDonald, her sister Frances MacDonald and Herbert MacNair (who was also a fellow apprentice with Mackintosh at the architectural firm Honeyman and Keppie.) Mackintosh would later marry Margaret MacDonald and, together with Frances and Herbert, become known as “The Four.” They formed an informal creative alliance which produced innovative and at times controversial graphics and decorative art designs which made an important contribution to the development and recognition of a distinctive ‘Glasgow Style’. This was all during the heart of the Arts and Crafts movement. 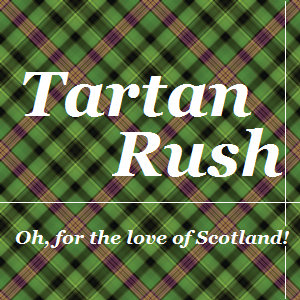 If you travel to Scotland there are several place you can visit that will show you Mackintosh’s architectural work. 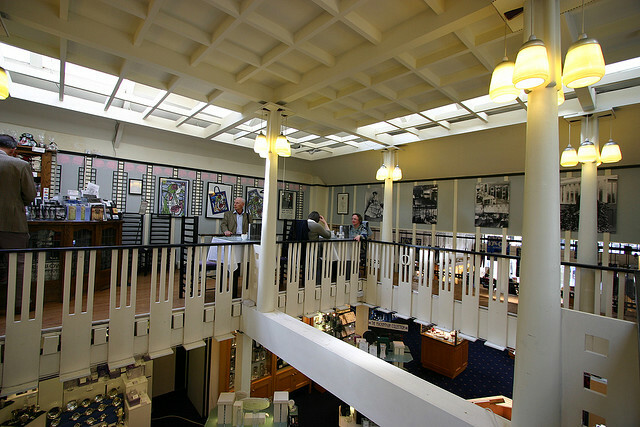 The Charles Rennie Mackintosh (CRM) Society‘s website is a good place to find information on his buildings and displays of his design work. There are a few gems that shouldn’t be missed including The Hill House, the Glasgow School of Art and the Willow Tea Room. 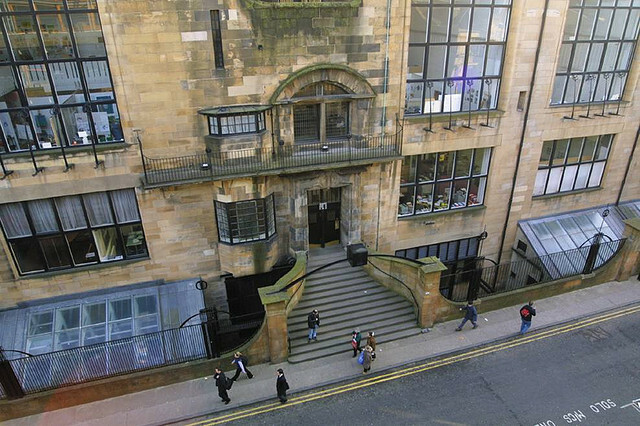 The Glasgow School of Art is considered Mackintosh’s ‘masterwork,’ and still functions as an art school today. Tours are available.